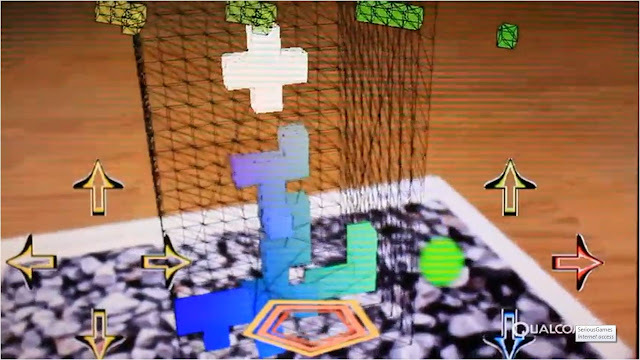 GDC 11: AR -The Augmented Future Of Mobile Serious Games? Via: Augmented Reality Games/Qualcomm - Augmented Reality Games Made A Splash At GDC 2011! Cohen argued, "AR is a game changer, but it takes some time to work out the subtle differences in terms of designing and making good AR games." Jay Wright spoke about the opportunities with Qualcomm’s AR SDK and showed examples of mobile AR games, applications, services and best practices for engaging new adopters. Qualcomm was visible throughout the event championing AR games, including a series of demos of AR games from their developer challenge presented on the show floor. Technology firm Qualcomm recently held an augmented reality contest for mobile developers, announcing three winners at Mobile World Congress. All three were games, and I expect Serious Games may follow. Paparazzi won the 1st place at Qualcomm game contest, $125,000 prize. Game took 2 people 6 weeks, using Qualcomm and Unity. As reported by Gamasutra, from GDC 2011 Monday Morning Session - Mobile Augmented Reality - What's Possible, Jay Wright (Qualcomm), the Qualcomm SDK makes building AR games easy. Qualcomm processes the video that comes through the camera, recognizes the objects, and integrates your graphics tightly with those objects. 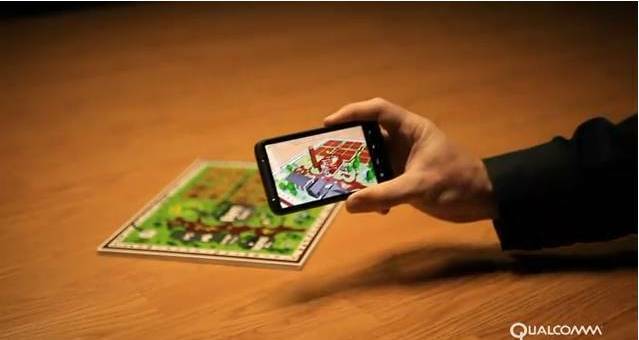 View some quick snapshots of exciting and fun AR apps submitted for Qualcomm's AR Developer Challenge 2010. From paparazzi to motorcycle riding stunt men to rescue helicopters, these AR apps show a new generation of vision-based AR applications, including innovative games, educational applications and interactive marketing concepts. Qualcomm (NASDAQ: QCOM) is an American wireless telecommunications research and development company, as well as the largest fabless chip supplier in the world, based in San Diego, California. Qualcomm was founded in 1985 by UC San Diego Professor Irwin Jacobs, USC Alumni Andrew Viterbi, Harvey White, Adelia Coffman, Andrew Cohen, Klein Gilhousen, and Franklin Antonio. Jacobs and Viterbi had previously founded Linkabit.